File photo of Churchfield Industrial Estate. TWO MEN HAVE been charged by gardaí investigating a serious assault in Cork earlier this week. 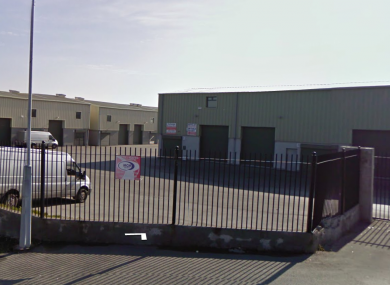 A businessman (30) was attacked on Tuesday night at his premises at Churchfield Industrial Estate while he was getting out of his van. He was approached by two men, who demanded money. A struggle ensued in which the businessman was seriously injured. The pair fled the scene without any cash. The man was rushed to Cork University Hospital. Two men, aged 19 and 25, who were arrested during a search of the area have now been charged, and are due to appear before Cork District Court. Email “Men charged over 'serious assault' of businessman in Cork”. Feedback on “Men charged over 'serious assault' of businessman in Cork”.